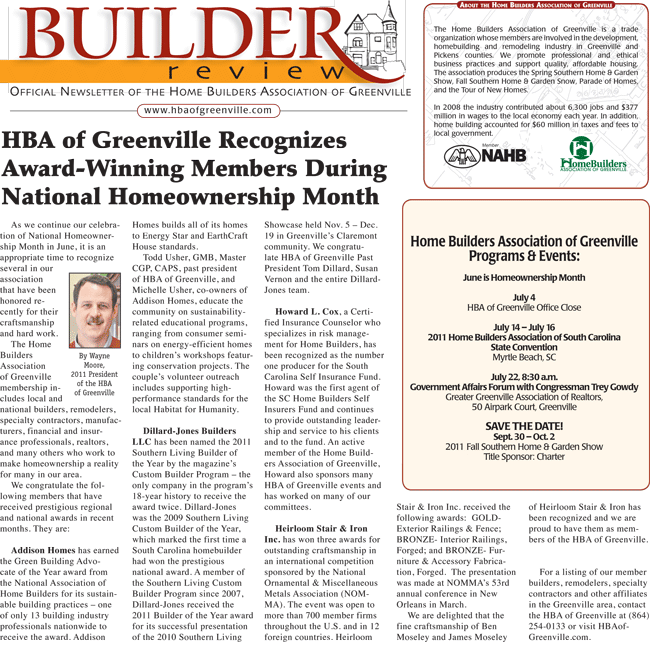 As the 2011 President of the Home Builders Association of Greenville, Wayne Moore writes a weekly column that appears in the Friday and Sunday editions of Homefinder.com in The Greenville News. Articles cover a variety of topics of interest to homeowners and would-be homeowners. Those articles are included here for your reference. Click the month below for articles that appeared during that month. Once the page is loaded, double-click the image and enjoy reading more about home building.